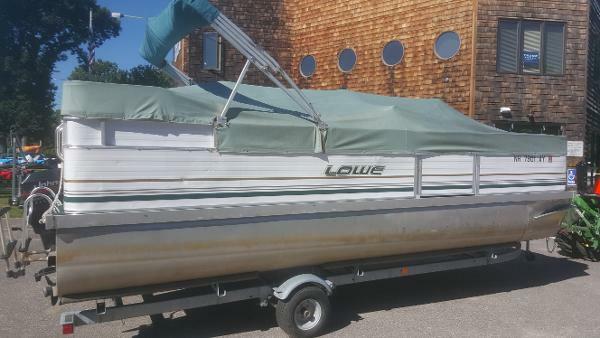 1996 Lowe 20' Pontoon Don't Miss This !! Reliable family boat at a great price! 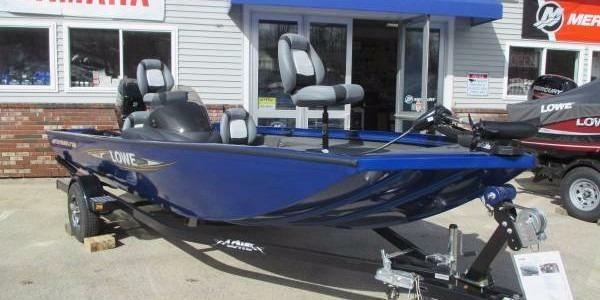 2015 Lowe Stinger 175 NEW 2015 Lowe Stinger 175 Bass Boat with MERCURY 60 HP4S. Includes trailer and cover. No doubt about it, the Lowe Stinger 175 outpaces the competition, with incredible multi-species functionality, loads of room to maneuver, and the premium components that give you the edge. Feature for feature, inch for inch, the Stinger 175 is top of its class. This boat has a 60HP Mercury, Spare tire, Chrome Wheels, Upgraded seats, FW45, Elite 3X bow and helm , Rec Pump , Chrome gauges and more. Features include:All-aluminum constructionHeavy-duty extruded one-piece center keelPro Trac™ mod-V hull16 oz. charcoal marine carpet19-gallon built-in fuel tankConsole w/ tinted windshield & soft-grip wheelPlug & play instruments (tack, speed, fuel & trim)Switch panel w/ 12V receptacleMotorGuide® 45# 12V trolling motorLowrance® Elite-3x fishfinder23-gallon bow & stern aerated livewells2 baitwells w/ minnow bucketsDriver and passenger seats, center seat w/ step, and 2 pedestal fishing seats w/ bases (4)Bow 3-across seatingLocking 7’6? port rod lockerAvailable painted or galvanized bunk trailer model. 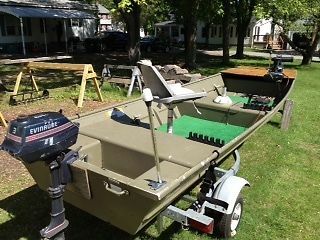 L 1436 Lowe johnboat great condition ready to fish just needs new trolling motor battery. Comes with Minn Kota 40 lb thrust trolling motor & small gas motor fires right up runs great needs nothing but gas ready to go boat ready to fish day or night has lights.